The 12F model is 12″ (31 cm) long with 3/8″ (9.5 mm) & 1″ (25.4 mm) depths. 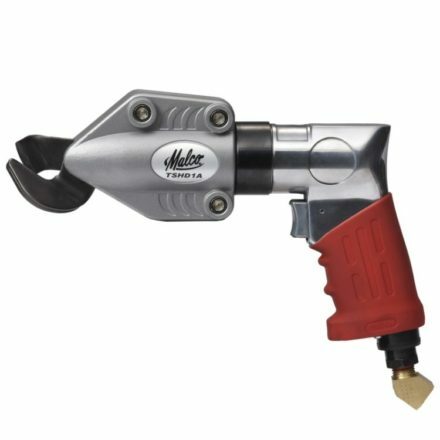 This tool is ideal for HVAC applications such as folds for drive cleats and big deep folds for joist panning, plenums, register boots, trunk line end caps, and more. The 18F model is 18″ (46 cm) long with 3/8″ (9.5 mm) & 1″ (25.4 mm) depths . This longer sheet metal folding tool assures a more uniform fold. The 24F model is 24″ (61 cm) with 3/8″ (9.5 mm) & 1″ (25.4 mm) depths. 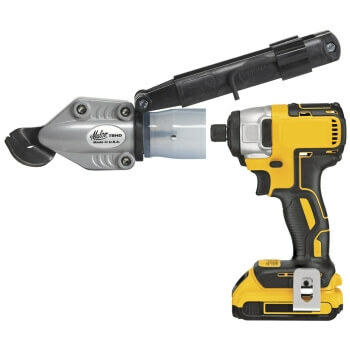 This model may also be used as a mini-brake by roofing and siding applications. Sturdy design offers a quality fold. Hand sight holes for proper depth alignment. I have used these flat bar seamers on a regular basis for over 25 years and not yet had one fail on me yet. I was able to use the center holes to make a removable handle on this for more grip. I have an old 12" long flat bar seamer with 3/8" grove on one side and 1/2" on the other, but they stopped making them a while back. That's a shame. I hope they will bring it back again. I would also like to see a 3/4" seamer like this. Quick method to fold sheet metal without a full brake. Had to do some ducting modification for a new HVAC system. I'd never done it before, but this tool made my life much, much, easier. Very simple, but sturdy and well-made. You can't really see in the picture, but it's got a thin split along both edges that allow sheet metal to be pushed inside the tool and bent against a (sturdy) flat surface to create a straight clean bend of any degree.